Locate the spot where you want to paste your block. Put the page in edit mode. 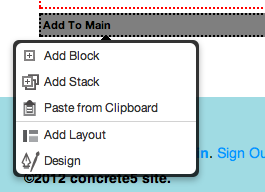 Click the block area you want, but instead of clicking Add Block, pick Paste from Clipboard. 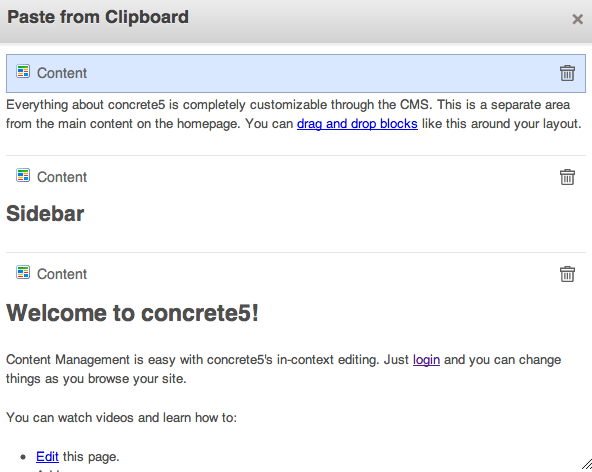 Click on the icon in the upper left (above its Content) to add the block from the clipboard. Click on the trash can icon to delete it from your clipboard. There is a preview of the block below these icons.